Artificial hearts with multiple moving parts increase the chance of failure; scientists have worked up a device which is a single piece. 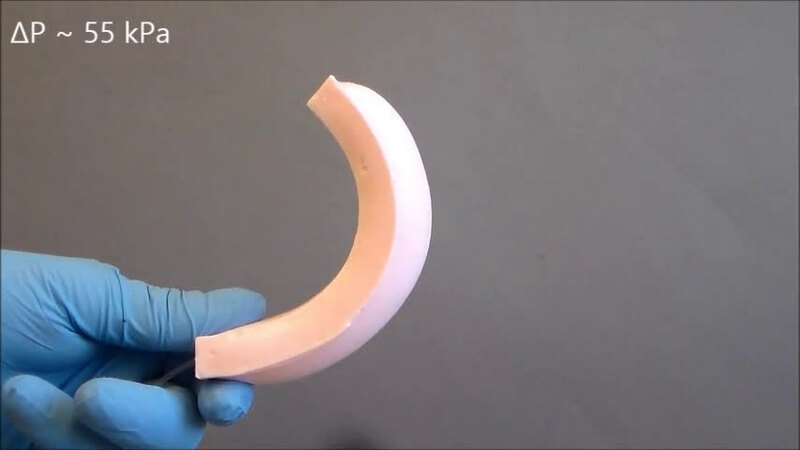 No less interesting is the material they used; the team is taking a page out of soft robots. Cornell University's Robert Shepherd, an assistant professor in the department of mechanical and aerospace engineering, and team have turned to a solid, porous plastic foam. The material has an interconnected network of tubes to let air flow – naturally—just as a human's muscles are permeated by blood vessels. And just like human skin seals everything inside, the team gave the device a solid plastic coating. New Scientist posted a video and discussed the heart. It is not exactly like our own, which has four chambers. Their heart has two chambers. New Scientist explained how it works: "powering the heart with air makes it flex and pump water between them. But the foam heart doesn't visibly beat on the outside because the plastic skin means all the expansion happens internally." To test the device, the team began the process with simple bending and extending devices. They saw movement when filled with air. They constructed a human heart model. 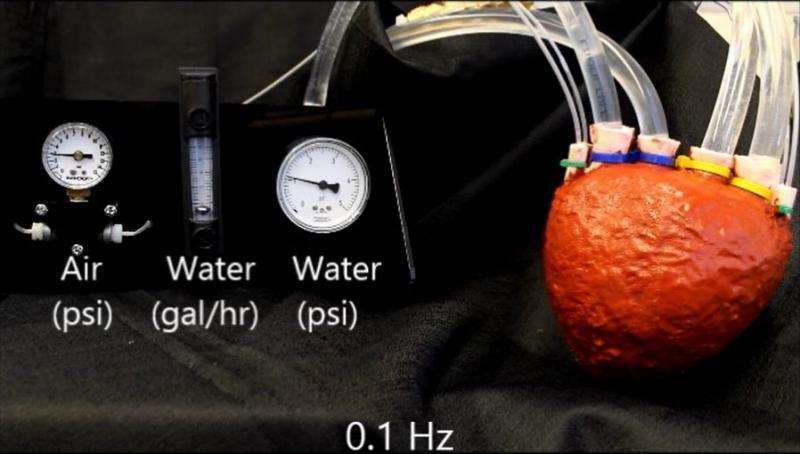 "It only has two chambers – as opposed to our four – but powering the heart with air makes it flex and pump water between them," said New Scientist. Could this artificial heart replace your own if needed? The pumping artificial heart could one day replace the "real deal," after further development. Shepherd said in the article that "we believe it has the potential, after further development, to be a viable replacement for a heart." Advanced Materials carries a paper on their work, "Poroelastic Foams for Simple Fabrication of Complex Soft Robots," which was authored by Shepherd and others. The abstract noted an "entirely soft, functional fluid pump formed in the shape of the human heart. 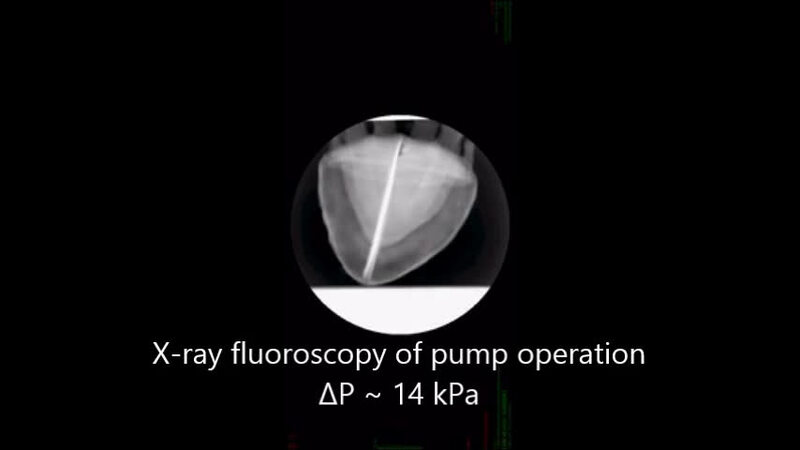 The device pumps at physiologically relevant frequencies and pressures and attains a flow rate higher than all previously reported soft pumps." The researchers did not test if the foam's property (1) changes at higher temperatures such as those that might be found in the body, she wrote. (2) the researchers will change some of the foam's ingredients to make it less susceptible to tearing and (3) make the air pathways simpler so that the heart can inflate more quickly. What powers the pumping heart?